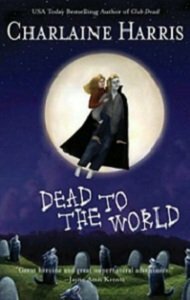 Dead to the World (Southern Vampire Mysteries, Book 4) continues the story of psychic waitress Sookie Stackhouse. Sookie has a falling out with her undead lover Bill. In this book Bill leaves for Peru to work on his project. After Bill departs Sookie finds Eric, the head vampire, terrified and running through the night naked. She helps Eric, and discovers his memory has been destroyed by a coven of powerful witches. Sookie tries to hide Eric, but her brother sees him and immediately disappears. Sookie finds herself caught in a war among witches, vampires, and werewolves.